This post is sponsored by Propel Water, a brand we love and that we’re excited to share with all of you! 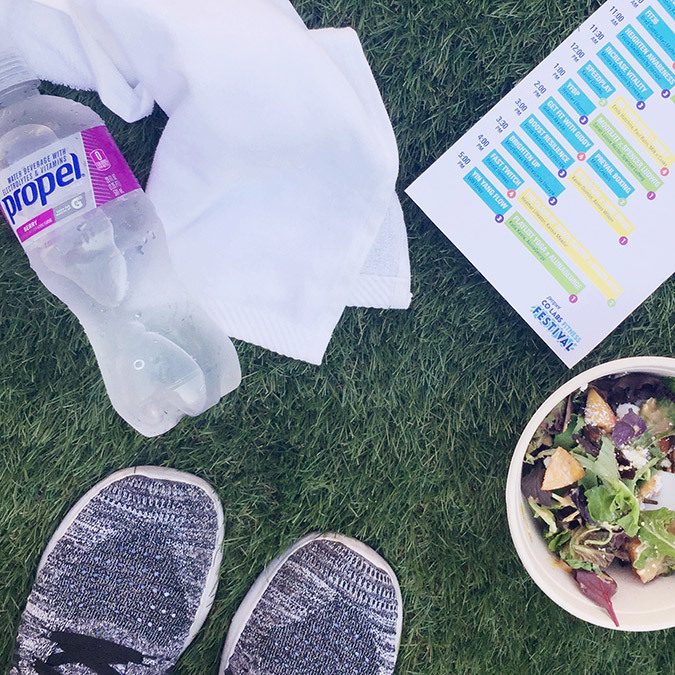 A few weeks ago, we had the ultimate Sunday Funday with our friends from Propel Water at their Propel Co:Labs Fitness Festival! It was a pretty incredible day filled with intense workouts, amazing music, refreshing sips, healthy eats and so much more. 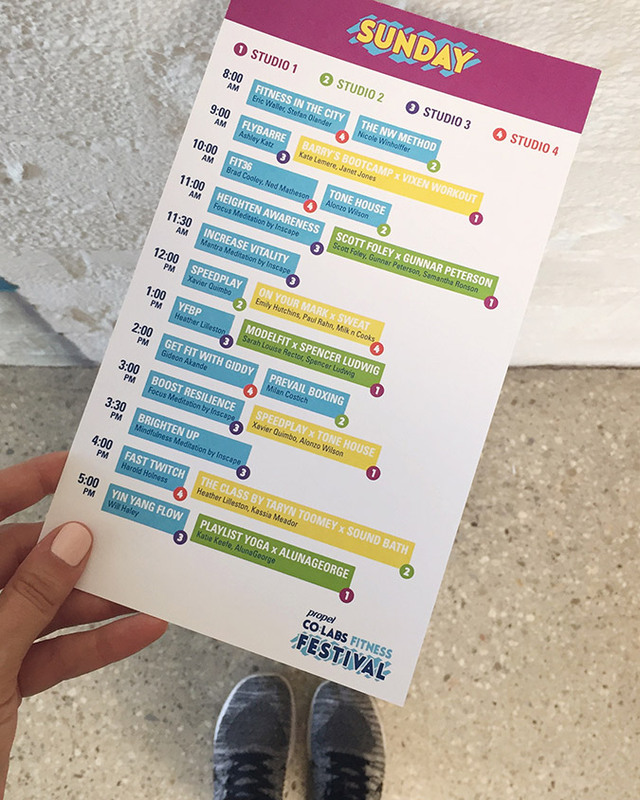 The Fitness Festival was offering classes from so many of our favorite workout studios (like Speedplay, Prevail Boxing, Playlist Yoga, and so many more) alongside live music by some awesome artists. The best part? All of the proceeds from the festival went to Girls on the Run, a non-profit organization that works to empower girls to be confident, healthy and happy through active lifestyles. Now that’s a mission we can get behind. 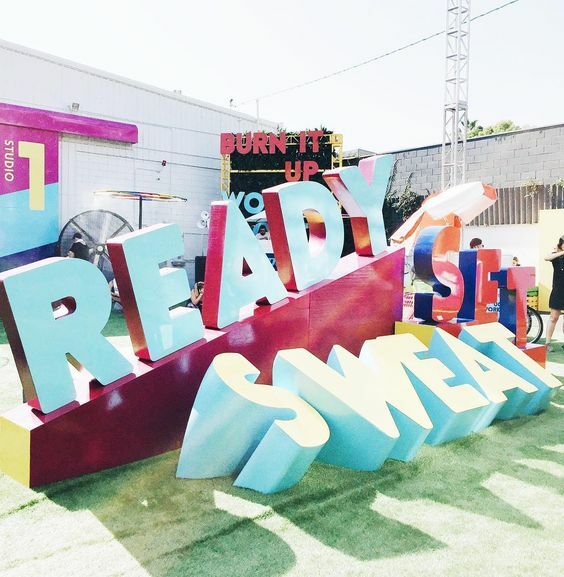 We arrived to this amazing view… Ready, set, sweat! How fun are these chairs? This is where everyone hung out in between classes, and fueled up on Propel Water, Sweetgreen salads, Dream Pops, and more. Look how amazing this schedule of classes is! 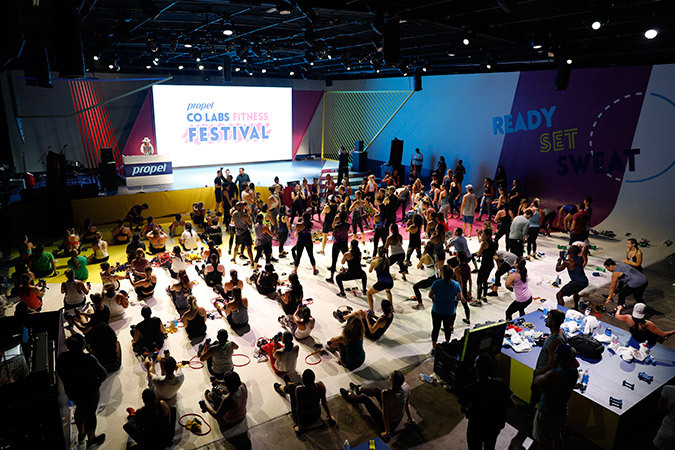 So many ways to work out, paired with incredible live music. We started out with a class by Speedplay x Tone House, and it was no joke. We were sore for a week! 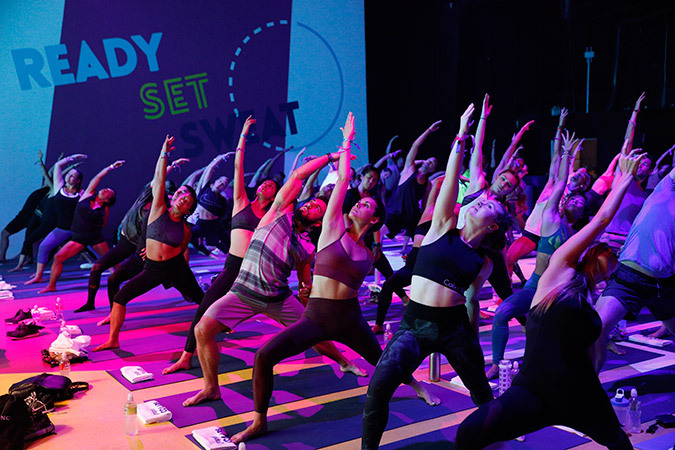 Katie from Playlist Yoga led all of us in a super fun flow, while AlunaGeorge sang on stage. It was a workout experience we’ll never forget! We burned a lot of calories and had an amazing time, all for a great cause. If only we could do this every weekend. 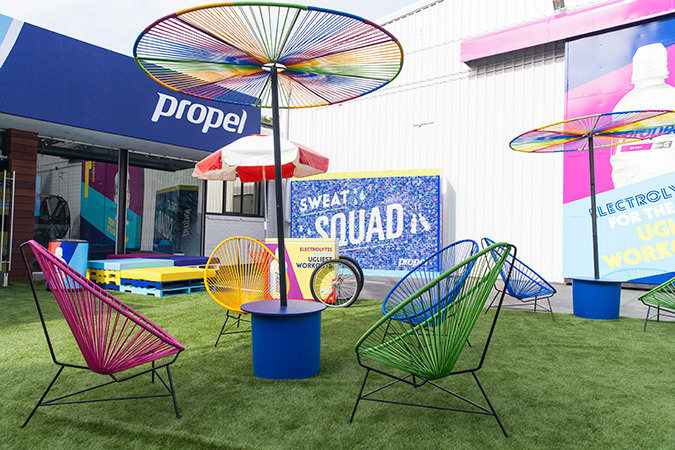 A big thanks to Propel Water for having us… We can’t wait for next year’s Fitness Festival! What’s your favorite weekend workout? Get Fit: What Do You Run For?